From the long range forecasts over the past week it was clear that there wasn’t going to be much wind for the first weekend of the Garmin Hamble Winter Series, incorporating the first of two MDL Hamble Big Boat Championship weekends. So it was a relief to find that the forecast had improved during Friday night, predicting 8-10 knots by late afternoon on Saturday. With an oscillating breeze that swung between 260 and 310 degrees, racing started on time at 11am for an 18-strong fleet that included many of the Solent’s top racing yachts in IRC 0, IRC 1, Farr 45 and J/111 classes. In race 1, Niklas Zennstromm’s Ran won the Farr 45 class, while J-Dream topped the J/111 fleet, ahead of William Naylor’s British Soldier. Toe in the Water, helmed by Capt. Lloyd Hamilton MBE, finished just under a minute ahead of Andrew Pearce’s Magnum III in the large IRC 0 class. In the IRC1 class, Nick Rawbone’s Playing Around finished ahead of Andy Uren’s Winston to take 1st place. The light breeze held up for race 2, which after some jostling for position went to Alice in the Farr 45 class, with Toe in the Water extending her overall lead by taking another bullet in IRC 0. Richard Barnes’ Biela-Munkenbeck topped the J/111 class, with Andy Uren’s Winston winning the race in IRC1. The 10 knots promised by late afternoon failed to materialise, and the third race got underway as the breeze began to die, with a course comprising fixed Solent windward marks and an inflatable leeward mark. In IRC 0, Toe in the Water took her third bullet of the day ahead of Localletterbox Zero II. Cracklin’ Rosie and Loco timed out in the fading breeze, with the boats awarded average points, and their crews awarded chocolate bars at the event prizegiving. In IRC1, Andy Uren’s Winston took another 1st, while Ran reasserted her dominance of the Farr 45 class, scoring another first place. In the J/111s, Biela-Munkenbeck took line honours. 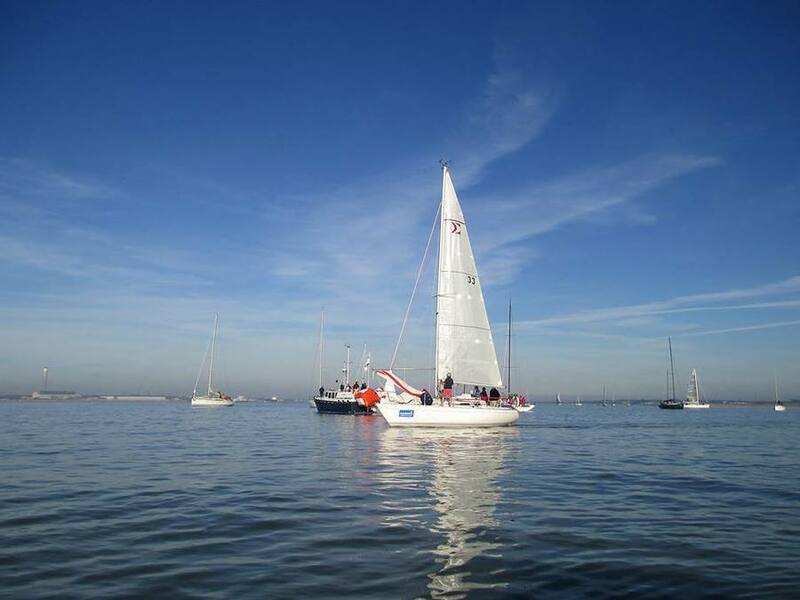 Sunday’s forecast was never looking good, but the race committee headed out into the Solent just in case, followed by most of the 70 + boats entered so far in the 2013 Garmin Hamble Winter Series, sponsored this week by Southern Ropes. Unfortunately the wind steadfastly refused to build above 2-3 knots and racing was abandoned for the day at noon. 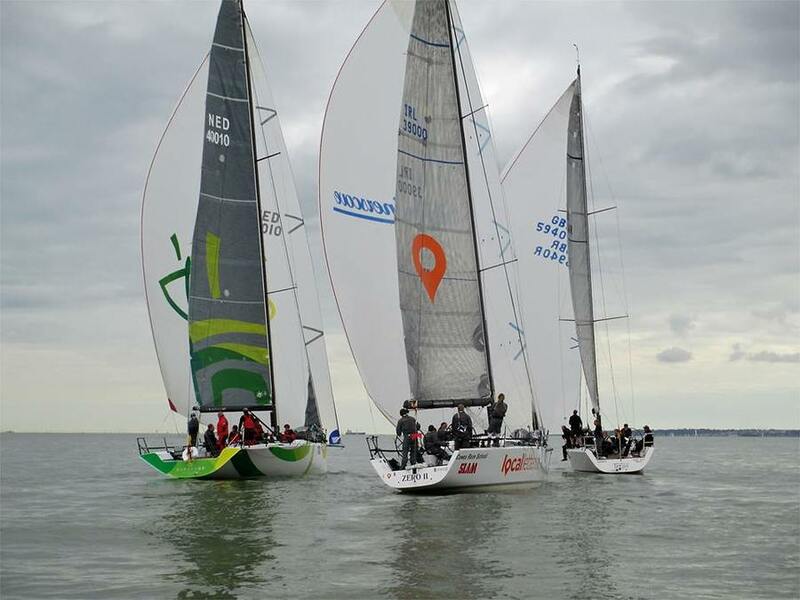 In the MDL Hamble Big Boat Championships, that left Ran at the head of the Farr 45 class at the event’s mid-point, one point ahead of second-placed Alice. Biela-Munckenbeck heads the J/111 class, tied on points with J-Dream, while Toe in the Water leads IRC0 by 8 points after a clean sweep. Winston leads IRC1. That all leaves much to play for in the second weekend of the MDL Hamble Big Boat Championships, held in a fortnight’s time. Next weekend hosts the second Garmin Hamble Winter Series race day as well as the first of two Doyle Sails Hamble One Design Championships weekends. Day Sponsor is Hudson Wight. Here’s hoping for some more breeze – see you then!